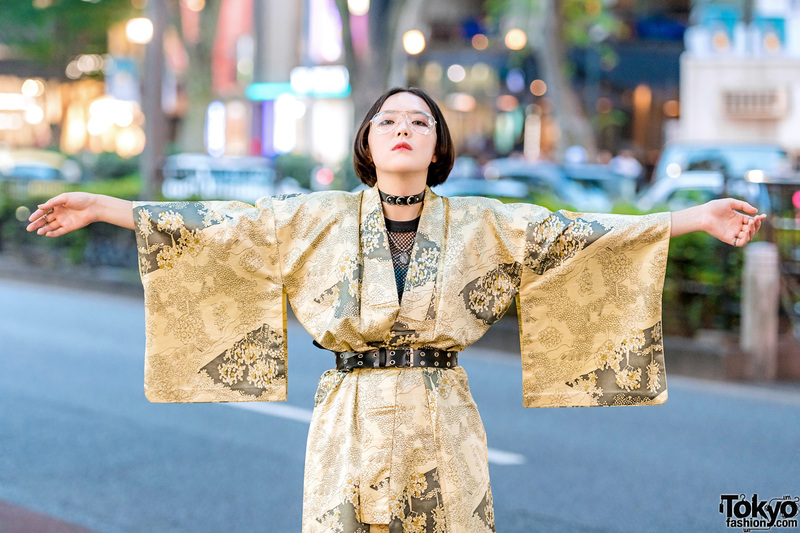 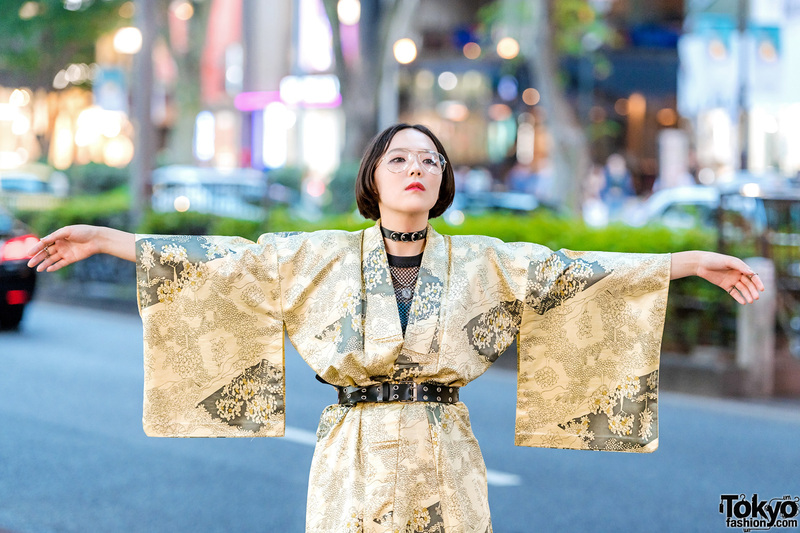 While walking along the streets of the Harajuku neighborhood, we spotted Lisa, a 17-year-old student whose take on yukata kimono streetwear dressing easily caught our eye. 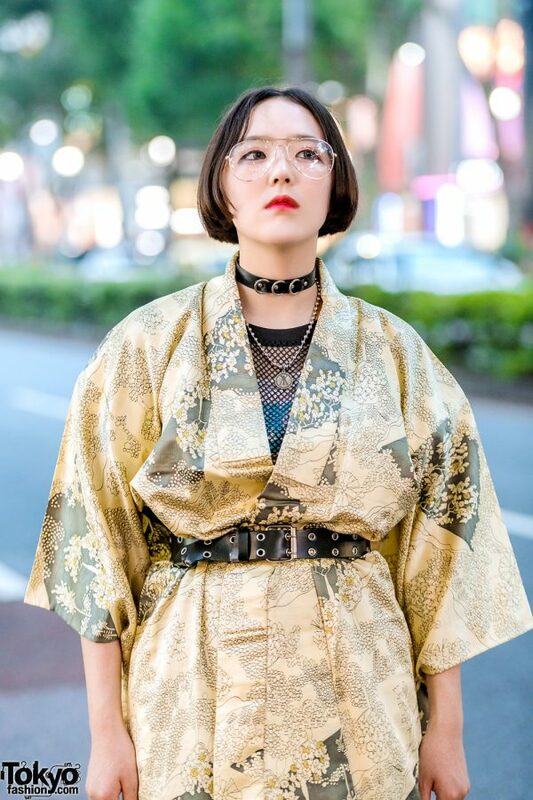 Sporting a center-parted bob, Lisa donned a gold vintage yukata with chic floral illustrations, which she wore over a black vintage fishnet top. 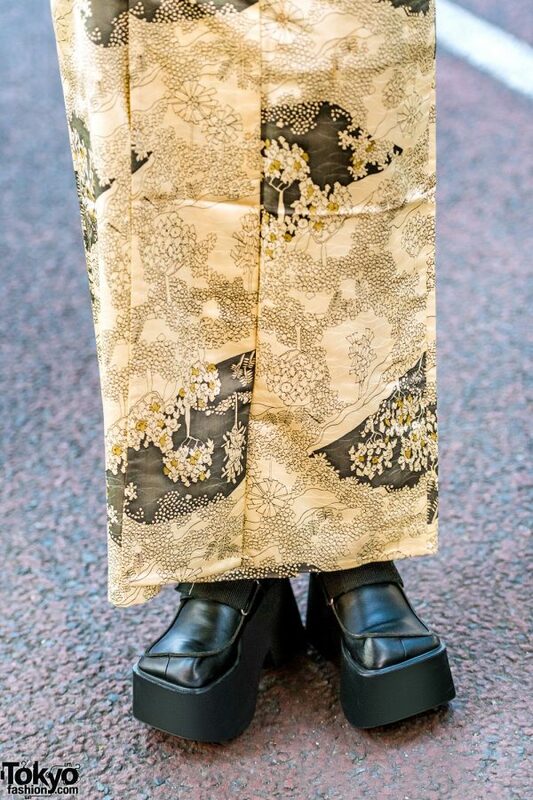 Foregoing an obi belt, Lisa cinched her yukata with a black leather grommet belt, and completed her outfit with white socks and vintage black platform shoes. 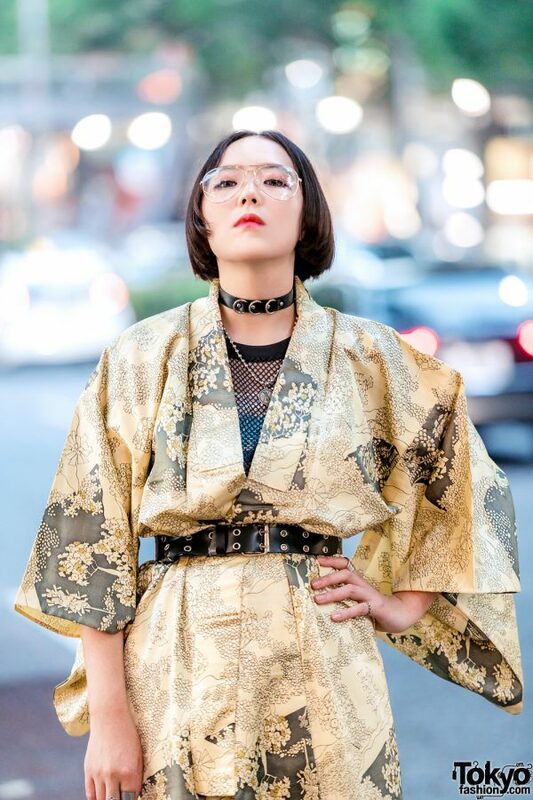 Her accessories – some from Another Youth – include clear aviator glasses, a leather o-ring choker layered with a ball chain pendant necklace, and multiple silver knuckle rings. 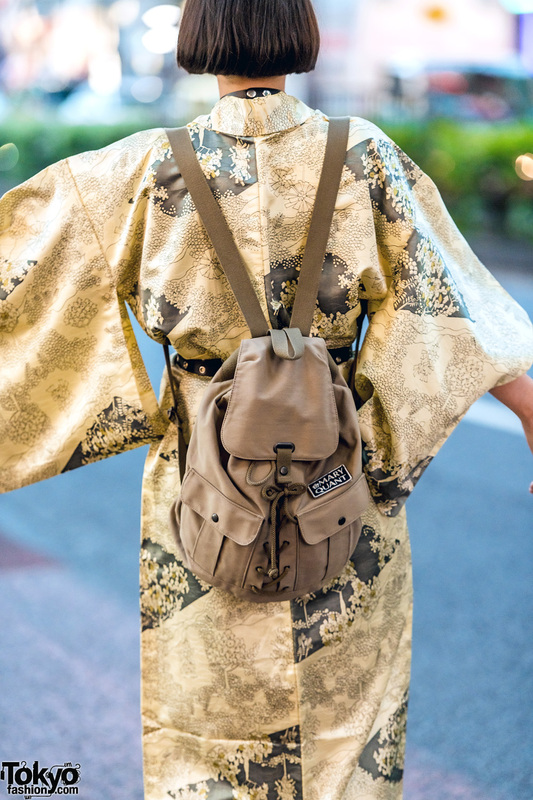 In addition, Lisa is carrying a khaki backpack with lace-up details from Mary Quant. 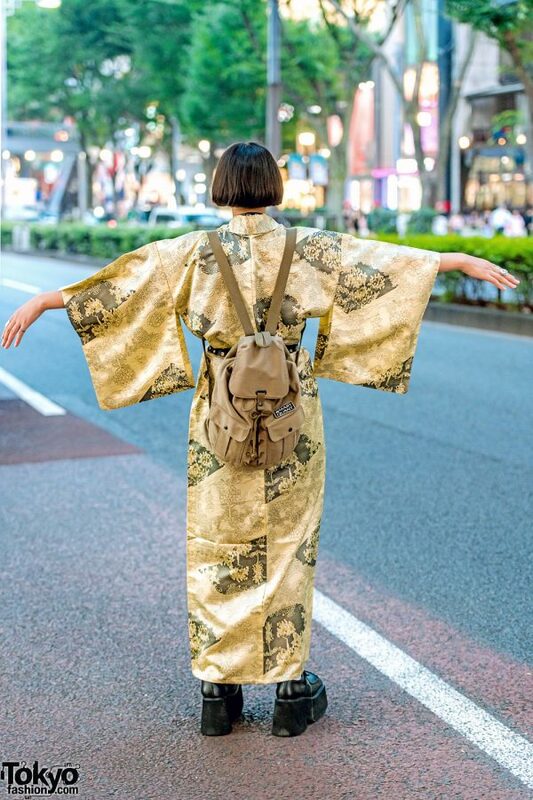 Lisa lists Another Youth, Never Mind the XU, More Than Dope and ESC Studio as her fashion favorites, and she likes listening to hip hop music. For more on Lisa, follow her on Twitter and Instagram.